Apparently monochrome is a big trend this season, I didn't know this while I was chosing this outfit but let's all pretend I did and I'm 'bang on trend' ;) I love all of these items together and I think this is going to become a favourite outfit for work and the weekend. I own a few t-shirts from Orphan's Arms now and I love the literary and historical prints that they have. I'm always checking their site for new stock and I snapped this t-shirt up as soon as it went into the sale. 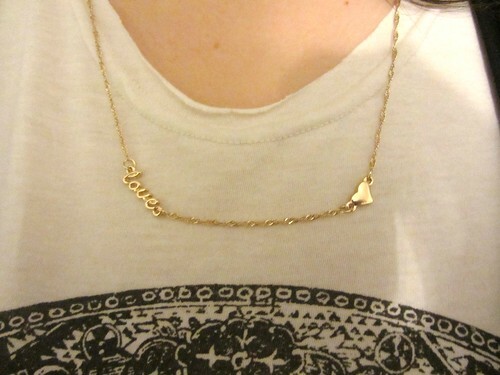 I picked up this necklace whilst shopping with my mum in the week, cute isn't it? It was from the RI budget range where you can pick up earrings for about £2. They had loads of adorable key, heart and cross things in the range so I'm popping back next week to stock up. I've been away a lot recently and want to catch up on some blog reading so please send me some links to post you have loved recently, feeling a little out of the loop. Gem you look smoking hot! 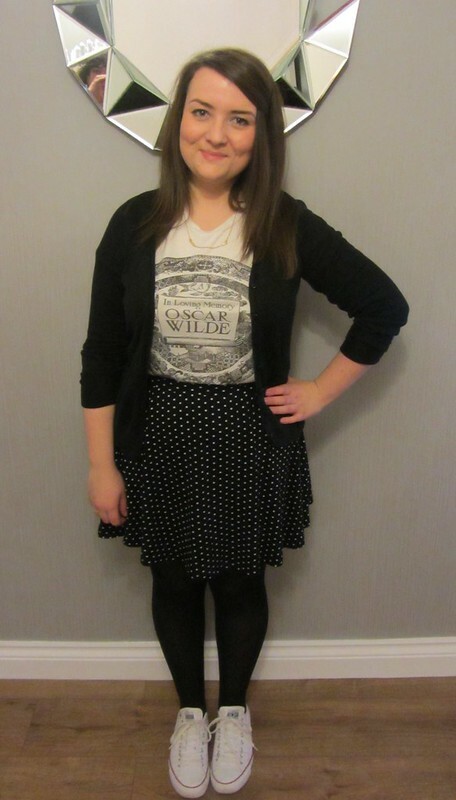 You look amazing, I love this tee and skirt together and that necklace is adorable! they have a jumper too!